miles in diameter it spins 10 times a second as it hurtles through the supernova debris cloud. The pulsar's electric and magnetic fields accelerate particles to nearly the speed of light, powering the compact x-ray emission nebula revealed in the Chandra. a picture. 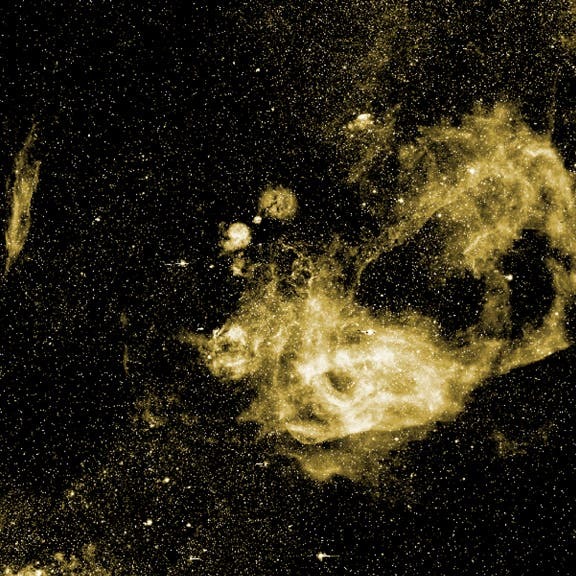 The Vela pulsar and the supernova remnant was created by a massive star which exploded over 10,000 years ago. Cosmic rays zapping the Earth over the South Pole appear to be coming from particular locations, rather than being distributed uniformly across the sky. Cosmic ray "hotspots" have also been seen in the northern skies too, yet there is no source close enough to produce this strange pattern. 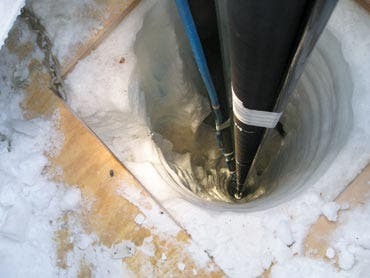 "We don't know where they are coming from," says Stefan Westerhoff of the University of Wisconsin, who used the IceCube Neutrino Observatory at the South Pole, which is buried under a thick layer of ice, with a team of colleagues to create the most comprehensive map to date of the arrival direction of cosmic rays in the southern skies. The device is capable of detecting elementary particles such as muons and neutrinos. 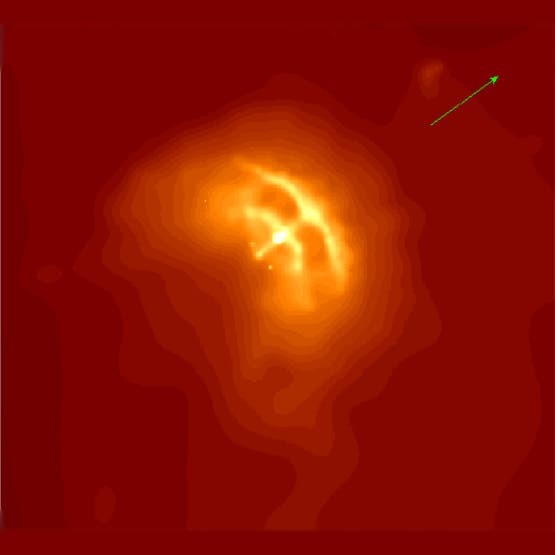 "One of the hotspots seen by IceCube points in the direction of the Vela supernova remnant (image below), a possible source of cosmic rays, but it's almost 1000 light years away. in the southern constellation Vela. Its source supernova exploded about 800 light years away in the southern constellation Vela. The Vela pulsar, discovered by astronomers at the University of Sydney in 1968, was the first direct observational proof that supernovae form neutron stars." Observations conducted here between May 2009 and May 2010 revealed that astronomers were wrong in assuming that cosmic ray sources are distributed evenly across the entire sky. This pattern is very visible in the Southern Hemisphere, but a little less so in the Northern Hemisphere. Due to its extreme sensibility to particles, the observatory can detect both muons formed from collisions between neutrinos and the ice pack covering the detector and muons that appear when cosmic rays strike Earth's atmosphere. During 12 months of study, INO saw 32 billion cosmic-ray muons, at an average energy level of some 20 teraelectronvolts (TeV). For comparison, the combined output of the two particle beams on the Large Hadron Collider only reaches 14 TeV. Analysis of the data indicate the possible presence of a cosmic ray source some 1,000 light years away from Earth, in the Vela supernova remnant. The massive star that formed this structure blew up between 11,000 and 12,300 years ago, astronomers have established. At the core of the remnant lies a 12-mile neutron star, which has the density of an atomic nucleus. It spins around its axis about 10 times per second, and astronomers classify it as a pulsar. Due to its behavior, it produces tremendously powerful electric and magnetic fields, which go on to accelerate particles in the remnant to nearly the speed of light. In effect, the pulsar is producing a vast, natural particle accelerator.